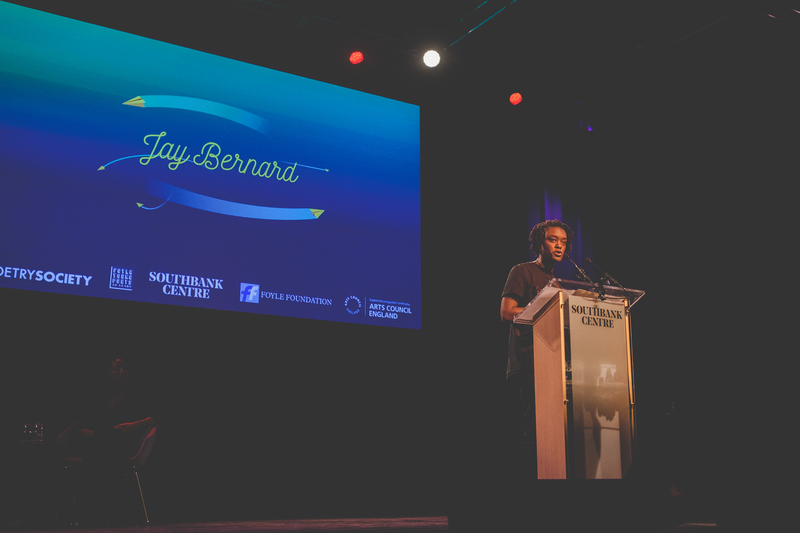 Throughout 2018 we’ve been celebrating 20 years of the Foyle Young Poets of the Year Award and on 23 October we held a celebratory reading at Southbank Centre, London with ten former winners of the prize. We’re delighted to share Foyle Young Poet Em Power’s review of this special night. Jade Cuttle. Photo credit: Harpreet Kalsi for The Poetry Society. A murmuring crowd hovered by the doorway of the Purcell Room in the Southbank Centre, drinking with friends and flicking through the poetry books on display in the foyer. 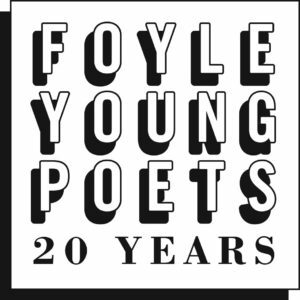 They were here for And the Air Sang, an event celebrating the twentieth anniversary of the Foyle Young Poets of the Year Award, featuring performances from ten former winners of the internationally renowned award: Jay Bernard, Sarah Howe, Phoebe Stuckes, Richard Osmond, Helen Mort, A.K. Blakemore, Holly Hopkins, Jade Cuttle, Magnus Dixon and Richard O’Brien. Many people in the audience were friends of winners or had been commended in the prize themselves; the woman sitting beside me, however, had never heard of the award before purchasing a ticket to And the Air Sang. 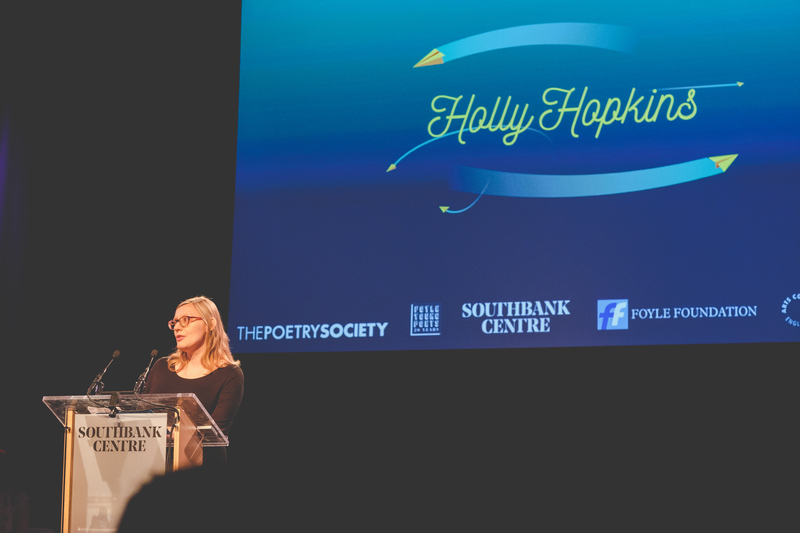 She had simply read about it in a pamphlet for the Southbank Centre’s London Literature Festival and was interested in finding out more about the ‘young poets of today and yesterday’. The night was certainly indicative of that, with poets performing poems they had written as teenagers alongside work from T.S. Eliot Prize winning collections. The charming Luke Kennard, the evening’s host and a Foyle 2010 judge, began the night by reminding the audience that the award is given to young writers not for their ‘potential’ but genuine, prodigious talent. Although throughout the night some of the poets shied away from reading their Foyle winning work, many of them spoke about the award being the much-needed boost in confidence that has allowed some of the biggest names in contemporary poetry to flourish. Holly Hopkins. Photo credit: Harpreet Kalsi for The Poetry Society. This idea of creative growth recurred throughout the night, with three-time Foyle Young Poet Holly Hopkins beginning the first set of readings with her poem ‘The King’s Manor Cat’, containing the evocative line ‘our skulls knit together in our teens/the problem is we risk sealing up completely’, which led to her discussing the different phases she went through as a writer following Foyle. 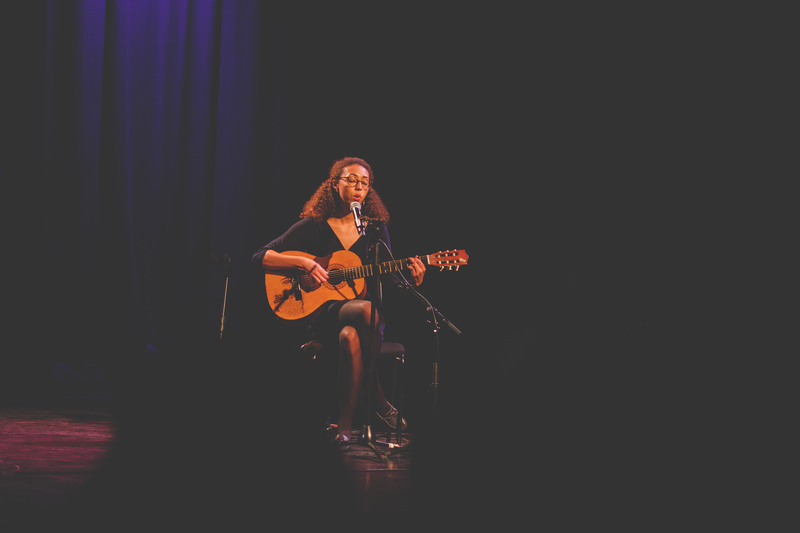 Meanwhile, Jade Cuttle was an inspiring example of the many different routes past Foyle winners take, with her short film ‘A Receipt For Our Romance’ receiving some chuckles from the audience prior to a breath-taking musical performance. During the interval, I had the pleasure of talking to both Phoebe Stuckes and Jay Bernard, two poets performing that night who had experienced the Foyle Young Poets of the Year Award in very different ways. Phoebe, whose debut pamphlet Gin & Tonic was being sold at the event, won every year she was eligible. She said the prize was ‘the best thing she’s ever done’ and talked about the incredible confidence boost her first Arvon course and subsequent wins gave her. On the other hand, Jay only won the award twice in 2004 and 2005, and had already been writing poetry for two years prior to that. While their win wasn’t what kick-started their passion for poetry, they said it very much validated their interest in writing. Jay’s reading was striking in its undeviating take on feminist and LGBT issues and had a particularly emotional effect on the audience. On stage, they discussed how being in a community of writers had given them the opportunity to read and discuss a more diverse range of authors, not just those featured on the school curriculum. Jay Bernard. Photo credit: Harpreet Kalsi for The Poetry Society. Throughout the interval former winners, teenage Foyle Young Poets and audience members with no connection to the prize all comfortably discussed the performances and their love of literature with one another. It felt like a relaxed, friendly and creative space, and it was lovely to think the Foyle Young Poets of the Year Award had cultivated that. The second half of the evening brought more brilliant poems and further discussion on how Foyle has affected the lives of former winners. Magnus Dixon claimed that every poem he’s ever written was a result of his original Foyle entry, while Sarah Howe recalled making a ‘pilgrimage’ to Sylvia Plath’s grave during the Arvon Course she attended – all the more poignant as the Foyle winning poem she read was inspired by Plath. A.K. 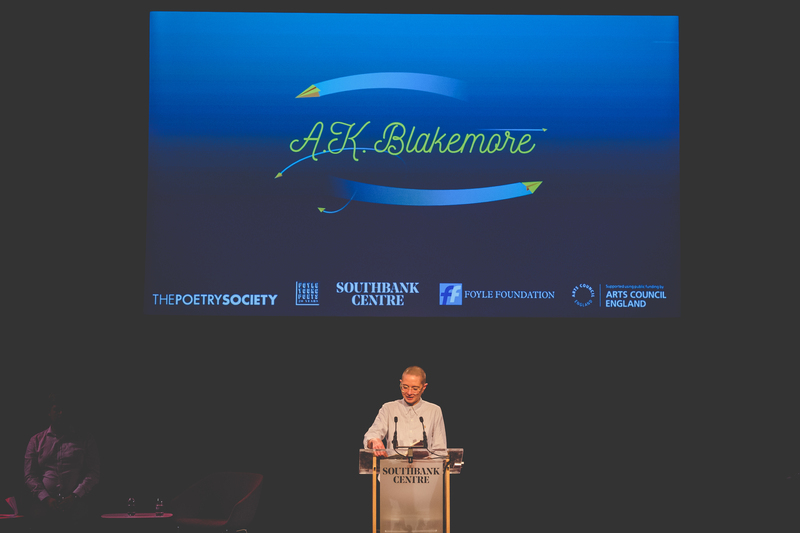 Blakemore read the poem that made her a Foyle Young Poet in 2008, ‘You Envied The Stars Their Height’, and it was interesting to see how her complex, contemplative themes had matured through the more recent works she performed. A.K. Blakemore. Photo credit: Harpreet Kalsi for The Poetry Society. Something notable about the evening was the breadth of styles and forms of the performances – Helen Mort’s time on stage included a short film directed by Chris Prescott, for instance. The themes tackled throughout the night were incredibly diverse as well, with pieces on transmisogyny and the life of radical feminist Valerie Solanas sharing the stage with Shakespearean character poems and personal anecdotes about teacup pigs. It was clear that the ability Foyle unearths often develops in very different ways. Richard Osmond, one of the final poets to perform, noted that Foyle winners aren’t generally considered to be part of a ‘school’ of poets, as their styles differ so vastly, but that the one thing they share is an immense passion for poetry nurtured from a young age, and the friends the award gives. That love of poetry was evident at And the Air Sang. Luke Kennard wrapped up the event to rapturous applause and any past Foyle winners in the audience were invited on stage for a photo. 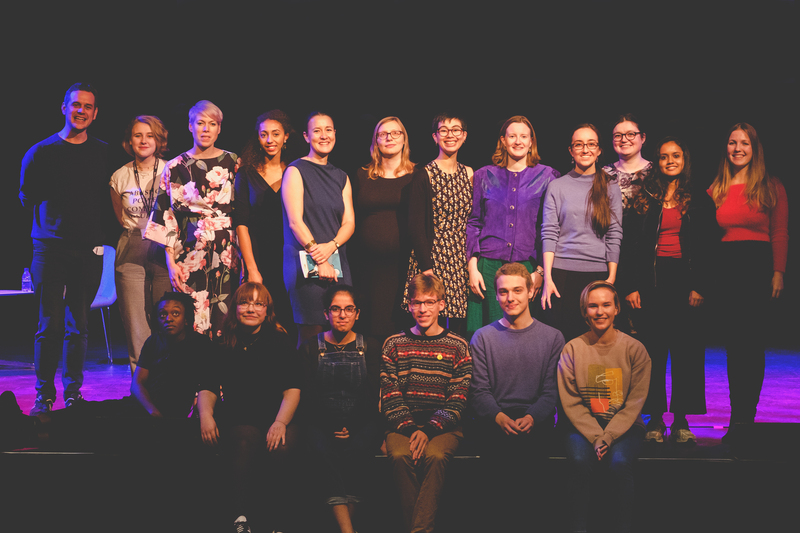 It was astonishing to see some of the talent filing up the stairs to share the stage with young writers who were in the same position they had been in not so long ago. On my way out I noticed the woman who had never heard of the Foyle Young Poets of the Year Award at the beginning of the night, now happily chatting with some of the performers by the doorway. The conversation and poetry shared throughout the night were not just a celebration of the Foyle Young Poets of the Year Award and its winners, but proof of the wonderful artistic community and legacy the award has created. Former Foyle Young Poets and judges. Photo credit: Harpreet Kalsi for The Poetry Society. 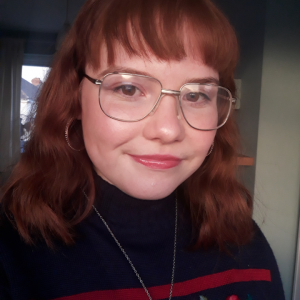 Em is a 16 year old poet who won the Foyle Young Poets of the Year Award in 2018. She lives in West London and enjoys watching spoken word performances on YouTube in her spare time. Her poetry is inspired by her Irish heritage, personal experiences and love of film.